The original was a telephoto (to compress all the boats) taken at 90mm and aperture 11, to get all in focus. Then a Trace Edges filter applied in Photoshop, with around 25% of the original image retained as background (foreground, technically, as I put that layer on top). 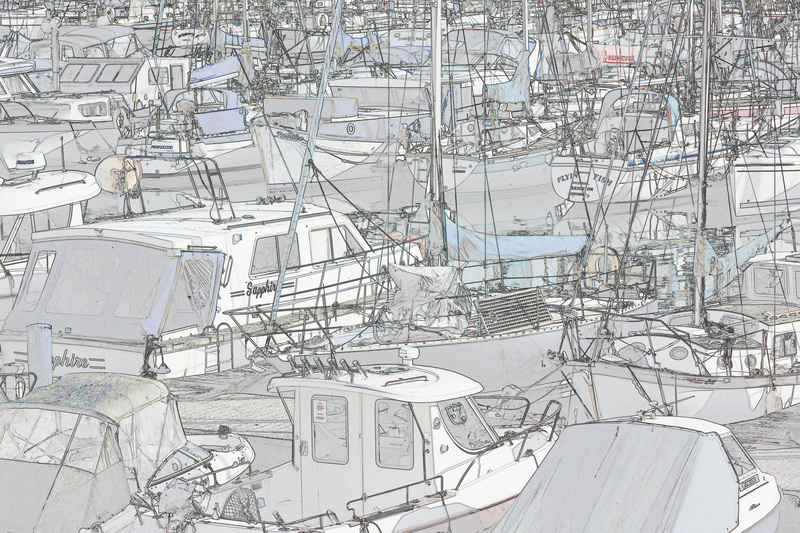 This entry was posted in English, photography and tagged Brighton Marina, yachts by marvol19. Bookmark the permalink.